Around 2,400 individuals have contended in a yearly swimming race between Istanbul's Asian and European shores. 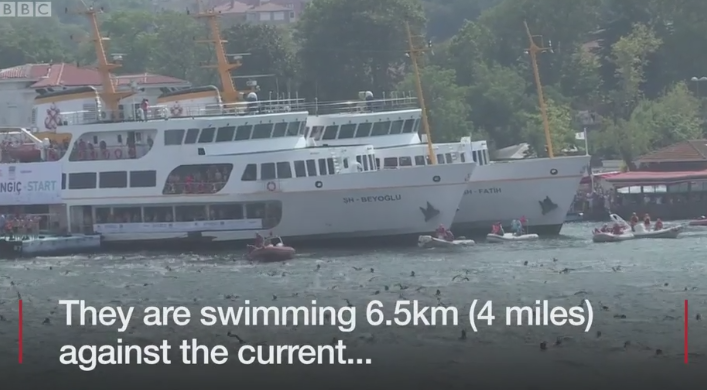 Members in the Bosphorus Cross Continental Swim finished a 6.5km (four mile) course - considered one of the world's best vast water swimming races and the main intercontinental swimming challenge. The quantity of swimmers has developed every year since the primary race in 1989 when only 64 men and four ladies participated.